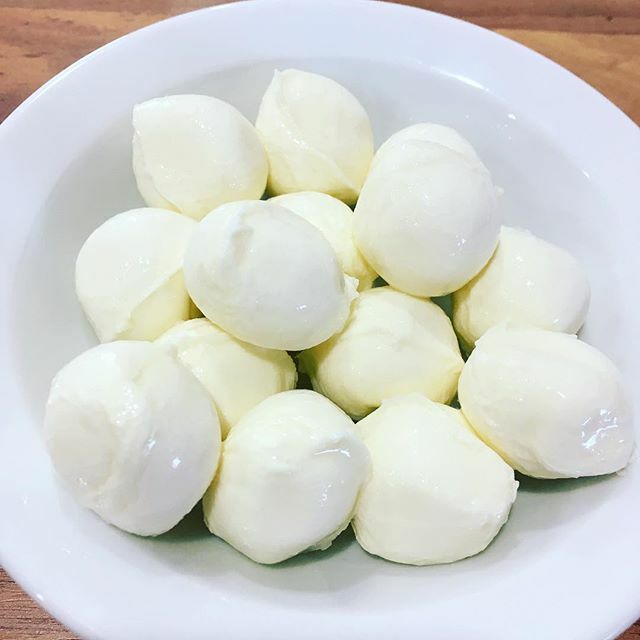 Mozzarella is a stretchy, mild and milky flavoured Italian-style cheese traditionally made from buffalo or cow’s milk. Mozzarella is best eaten warm (freshly made), but it can also be chilled, brined and served whole (i.e. 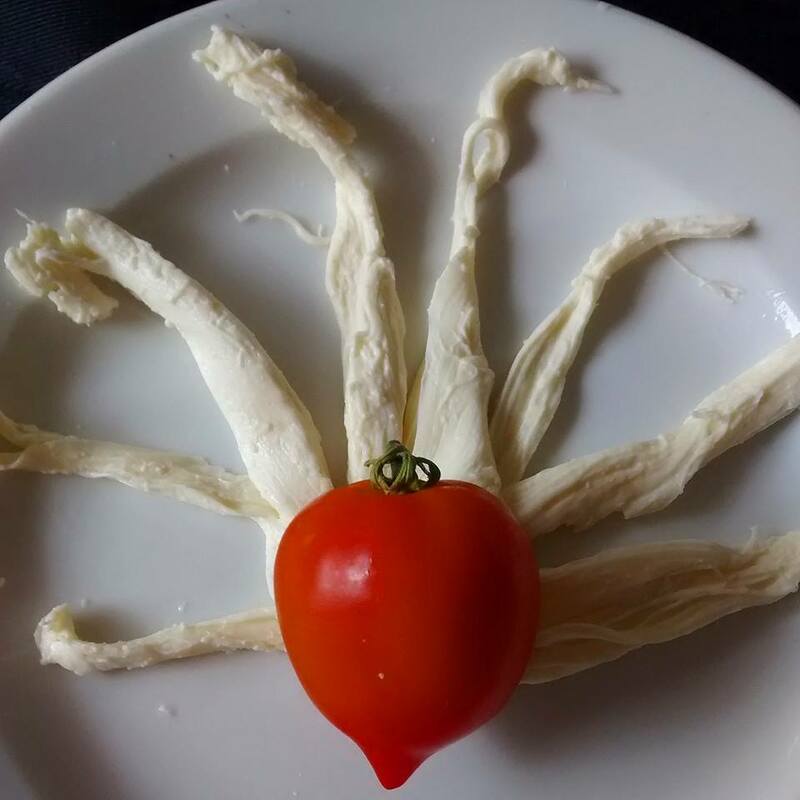 baby mozzarella/bocconcini) or sliced and served with fresh tomato, basil and a drizzle of extra virgin olive oil. Also suitable for use in salads, pasta and pizza, or added to meat, seafood or vegetable dishes. 2. Optional**: prepare lipase solution and set aside. 3. Add citric acid solution into a large pot. Pour milk into pot and whisk to combine. 4. Warm milk slowly via indirect heat to 32°C (90°F). Remove from heat. 5. Add lipase solution** and stir to combine. Pour rennet solution slowly into milk mixture, stir slowly to combine. Cover and rest for 5-30 minutes. 6. Check for a clean break. 7. Cut the curd into 2.5cm (1 inch) cubes. 8. Heat curds slowly to 42°C (108°F). Remove from heat and stir gently. 9. Ladle curds into a heat-proof bowl. Reserve whey to make whey ricotta. 10. 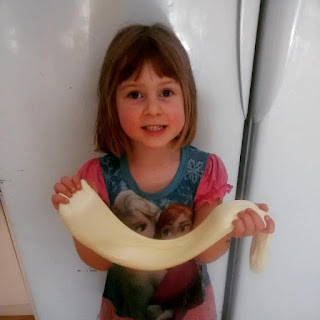 Cook curds via microwave or water bath method. Microwave: Heat curds for 1 minute (800 watts). Drain, fold, press, and drain again. Heat for 30 seconds. Drain, fold and drain again. Heat for another 30 seconds if required, repeating draining until cheese reaches around 57°C (135°F) and stretches easily to become shiny and smooth. Sprinkle with a little salt in the last folding, if using. You won't need to add salt for sprinkling if you are putting the mozzarella into salt water instead. Water bath: Wear gloves. 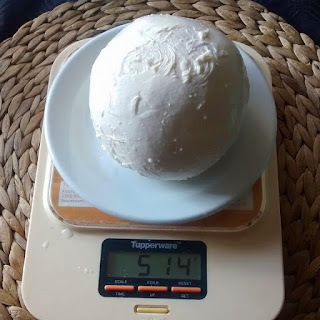 Take a handful of mozzarella curds and place into a pot of hot water (70°C/160°F) for 20 seconds. 12. Wrap cheese in plastic (vacuum seal for longer storage) and consume at room temperature within 12 hours (RECOMMENDED), or store in whey, salt water (or no liquid) in the refrigerator. *Double quantity of rennet if using Mad Millie tablets. **Optional: 1/8 teaspoon lipase (dissolved in 1 tablespoon filtered water) for extra flavour (add double rennet if adding lipase). Enjoy your fresh mozzarella with fresh tomatoes, basil and a drizzle of olive oil! Have leftover risotto? Try making homemade arancini with mozzarella in the middle.